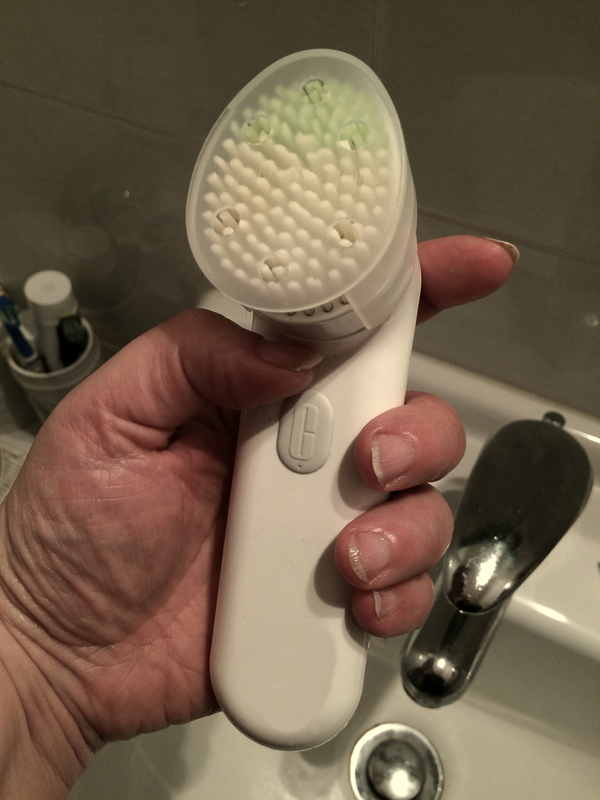 Thinking About Packing: Clinique Sonic System Purifying Cleansing Brush | Bright & Beautyfull! Only mumble mumble weeks ’til The Christmas, and I am already thinking about packing up the big bag on wheels. Unsurprisingly, I always end up taking loads of stuff, as per here, and yet find the whole grooming-situation-away-from-home to be unsatisfying. My skin almost hardly ever feels as shiny and clean as it does when I have all my stuff to choose from. I like having options, and in the interest of leaving space in the big bag for the fruits of two+ weeks in America, I try not to load up on too much product. However! I think my skincare dreams have come true thanks to this cute little number. 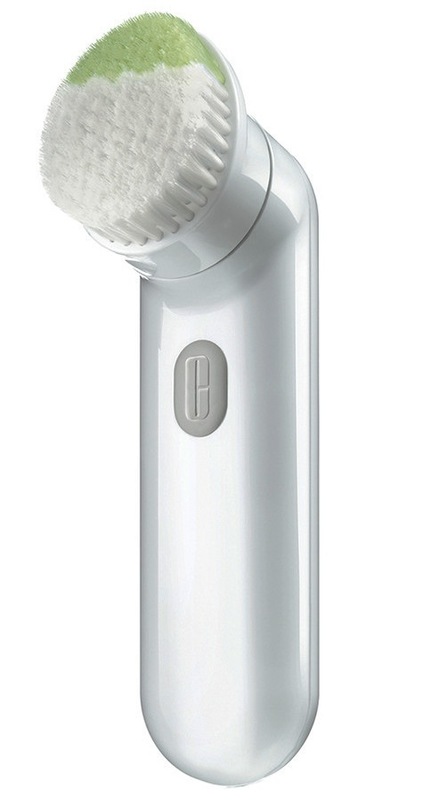 Here is Clinique’s new Purifying Cleansing Brush. It powers itself up via USB, which is great for me as a standard Irish/UK plug wouldn’t suit me for travelling, and the little holder it sits in while it charges is no size a’tall. The thing itself is of no size a’tall as well, and yet it is as good a cleanse as any of the larger, heavier brushes I’ve tried in the past. Its slimline design makes it a much more attractive proposition to take along on the road — although I do wish there was some class of equally lightweight carry case. It’ll end up wrapped in a baggie, tucked into a pair of socks and then stuffed in a boot — I really am thinking about packing — but I wish it had something a little more protective to keep it in. See! Just the right size, both for the hand and the bag. It does take some getting used to for sensitive skin, so it is advised to start with a quick but thorough 30 second cleanse, and building up from there. The white bristles take care of the cheeks, while the green ones are designed to do the business on the pesky T-zone. The cap has many big holes in it, allowing the brush to dry whilst keeping it safe from getting smashed. 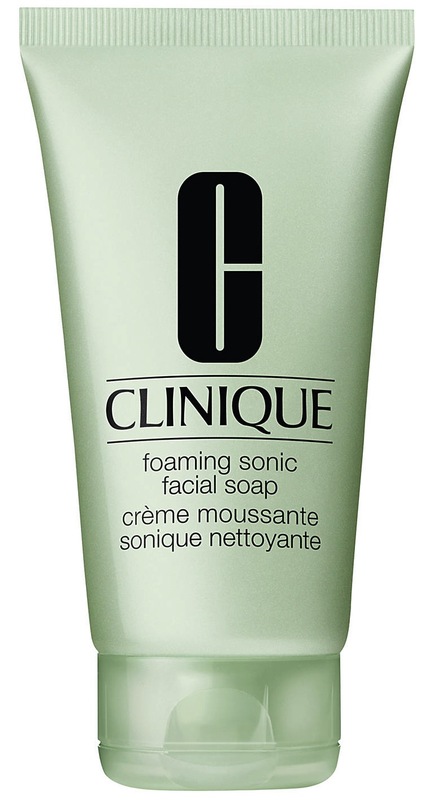 This has been on-counter for an age; I was waiting to write until I got me paws on the Foaming Sonic Facial Soap. This is a a cream, not a liquid, but thicker than your usual cream cleanser. It is hard to squeeze out of the tube, and the first time I used it, I erred on the side of more rather than less. It was an err for sure: you need less than a pea-sized amount to get the best out of it — maybe half a pea, or two-thirds. It is rich, and applies easily all over a damp face, and then it foams like a boss. I feel like I could use anything with the brush and it would be grand, but I like this best. €89 for the brush, €22 for the soap! ← Festive ’14: Here We Go!